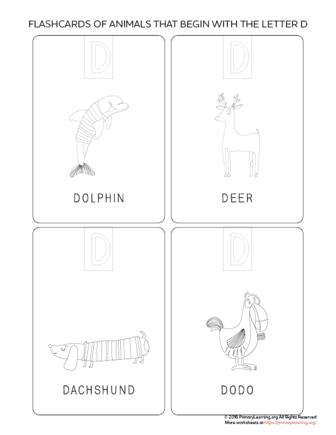 Learn the animals with this set of free printable flashcards. 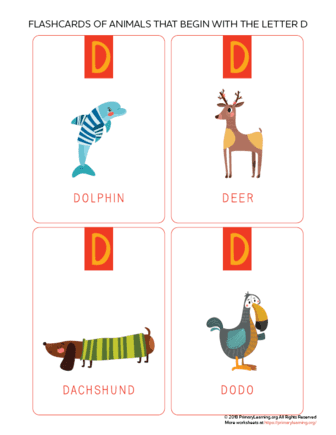 This set includes 4 animals that begin with The Letter D: dachshund, deer, dodo, and dolphin. Flashcards are one of the most useful resources in your classroom. Students find these engaging and like the interactive learning experience. This helps them to follow concepts quickly.